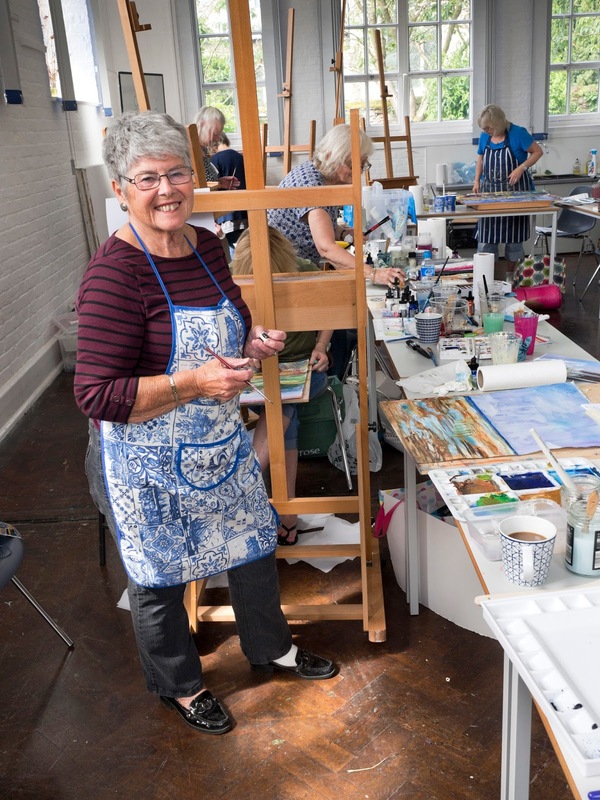 Just returned from a fabulous weekend teaching two back to back expressive painting mixed media workshops with Norfolk Creative Arts, North Norfolk in a quiet peaceful part of the historical West Norfolk friendly village of Grimston. 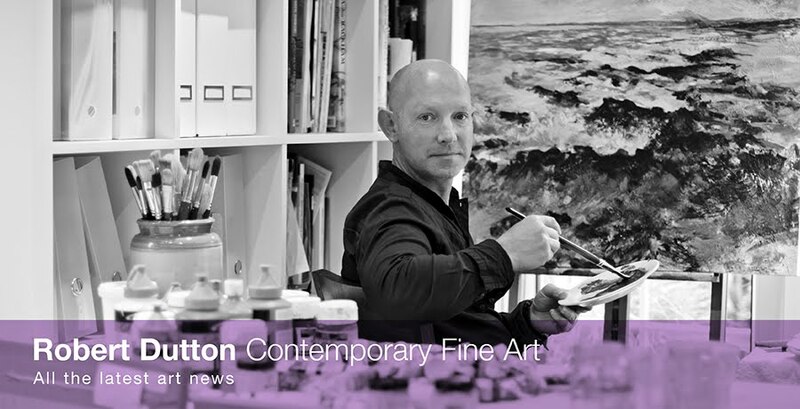 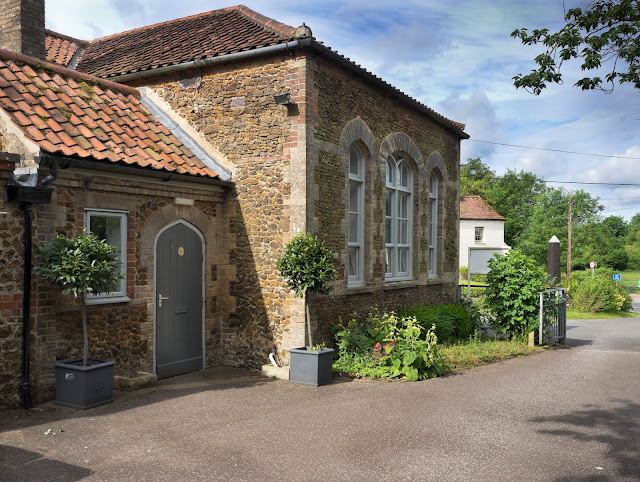 The historical old Grimston Church Hill School now lovingly restored into a wonderful art studio - complete with lots of spacious and free off road parking too! 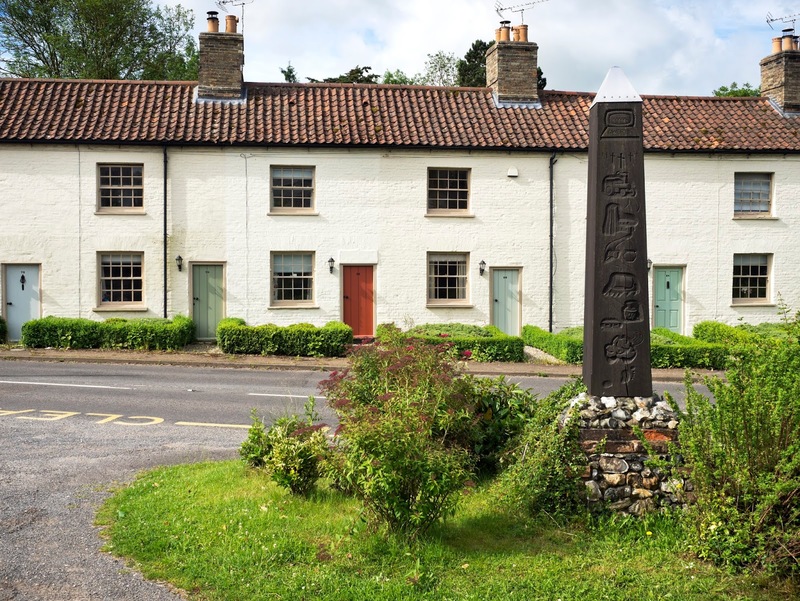 The lovely village cottages at Grimston right opposite Norfolk Creative Arts - a great landmark to know you've really arrived in the heart of West Norfolk! 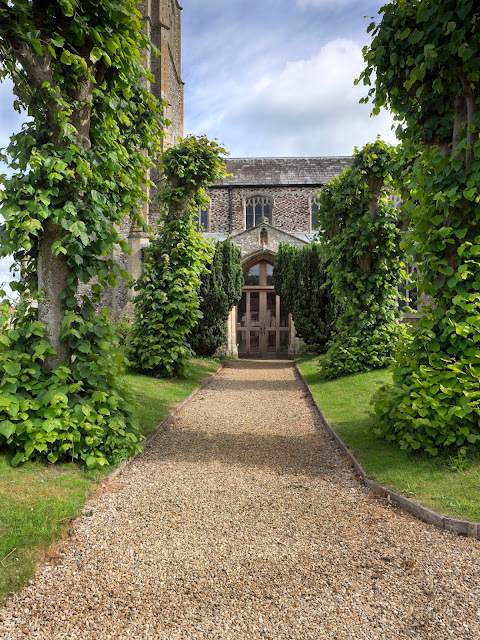 Norfolk Creative Arts nestling perfectly in a quiet corner of Grimston village seen through the lovely old church yard at St. Botolph's Church - a church which dates back to the 12 Century - fabulous! 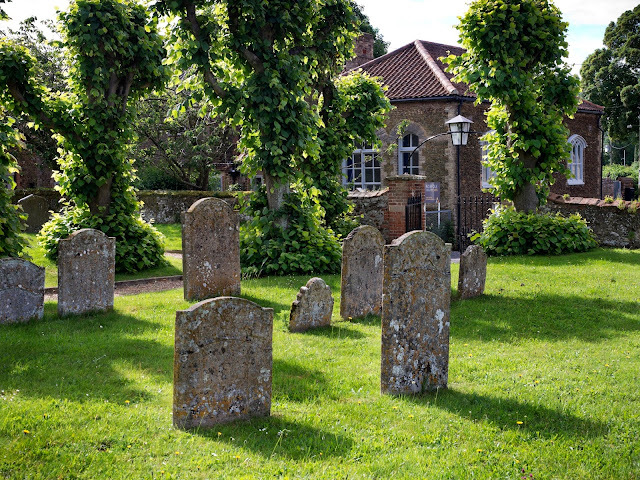 The wonderful and historical St.Boltoph's Church just a few steps away from Norfolk Creative Arts - quite literally as you can see the church through the windows! 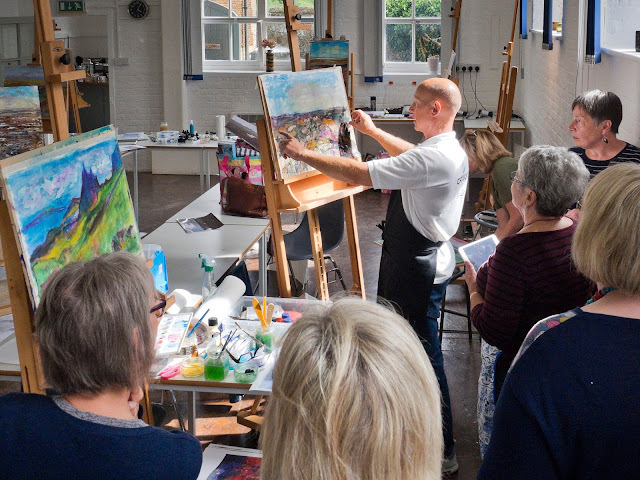 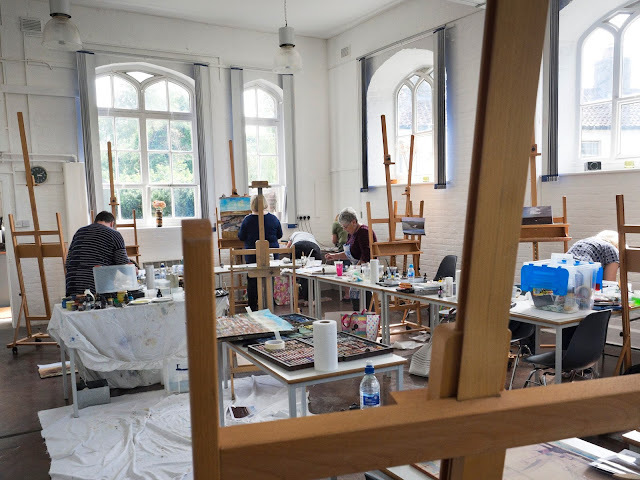 The spacious, light and airy fully equipped studio in 'The Old School' at Grimston, West Norfolk (having been carefully and sympathetically restored by directors of Norfolk Creative Arts, Hans and Sean), was perfect for everyone to fully enjoy their really exciting and thoroughly rewarding full day workshops. With everyone continually pampered by Hans with a lovely range of teas, fresh coffee, homemade light refreshments and a wonderful tasty gourmet lunch midday - all between one to one tuition, demos and practical painting experiences, our painting days were packed full of great things which reflected in all the work. 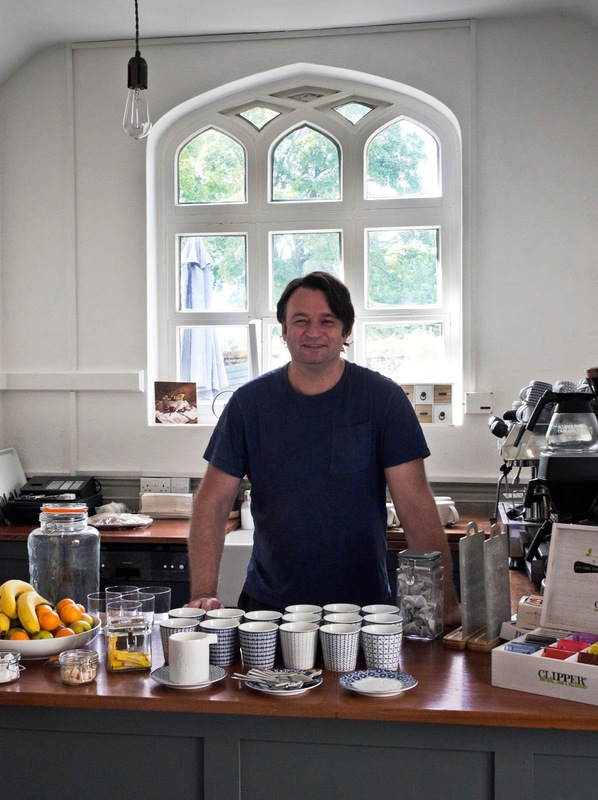 Hans - your happy host! Speciality teas and fresh coffee and cakes await! 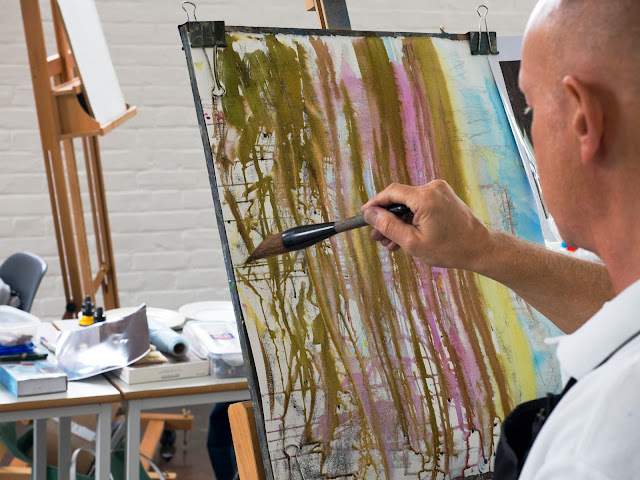 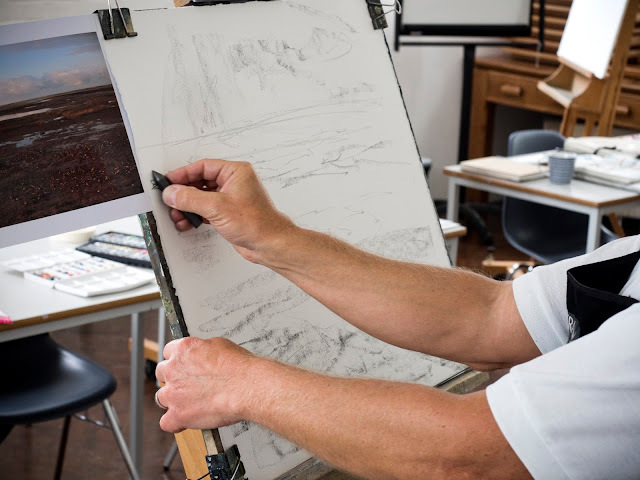 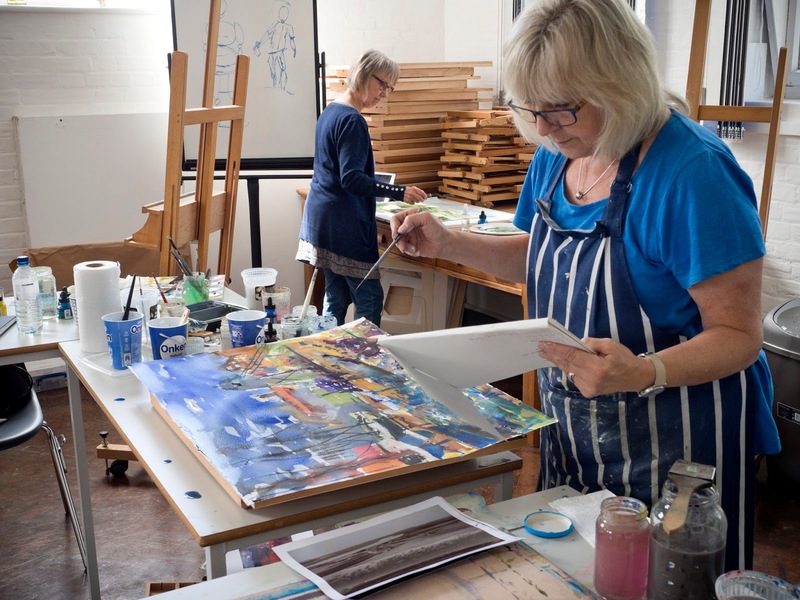 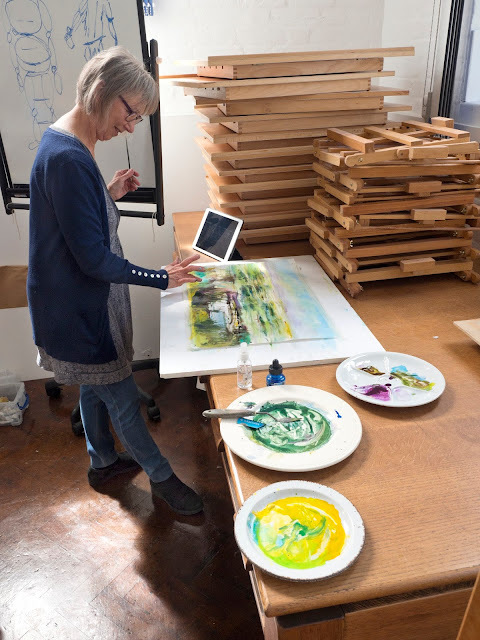 As each day progressed and everyone's paintings began to develop, the rich tapestry of layering using acrylic inks, watercolour, gouache and pastel created amazing visual effects in each and every painting. 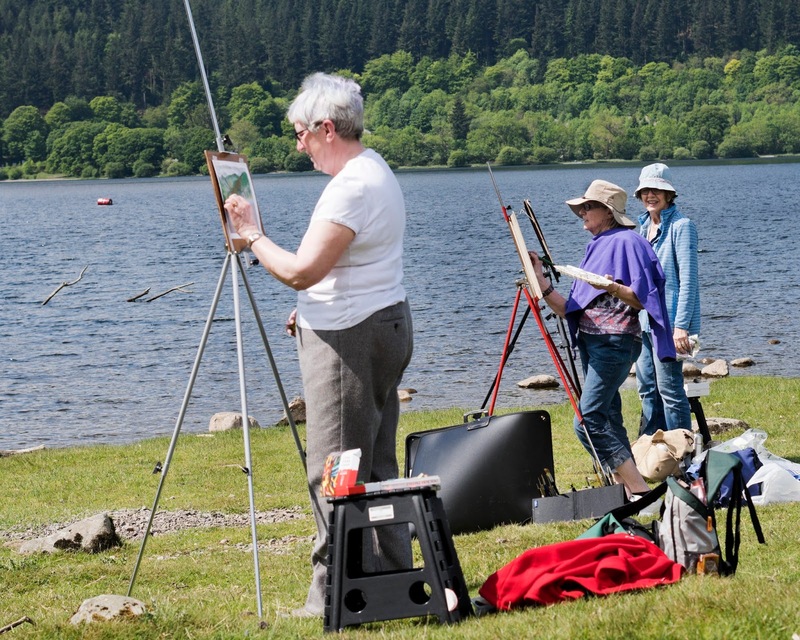 Each and every artist who came to the popular workshops brought with them different levels of creative painting ability. 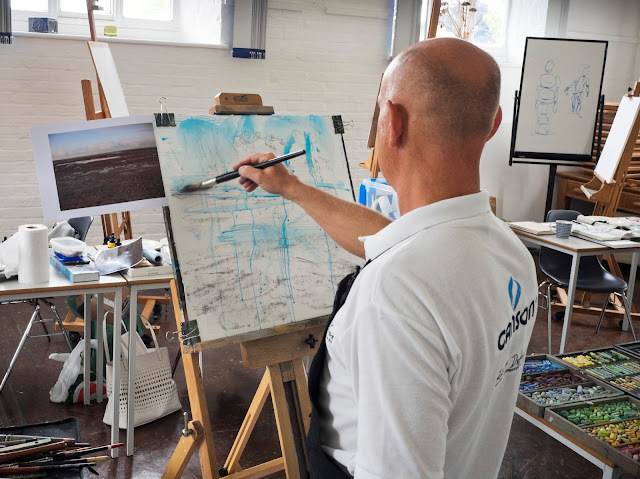 Using the chosen media combined was a unique, exciting and creatively rewarding experience for everyone! Texture, colour, pattern and expression - it's all there! 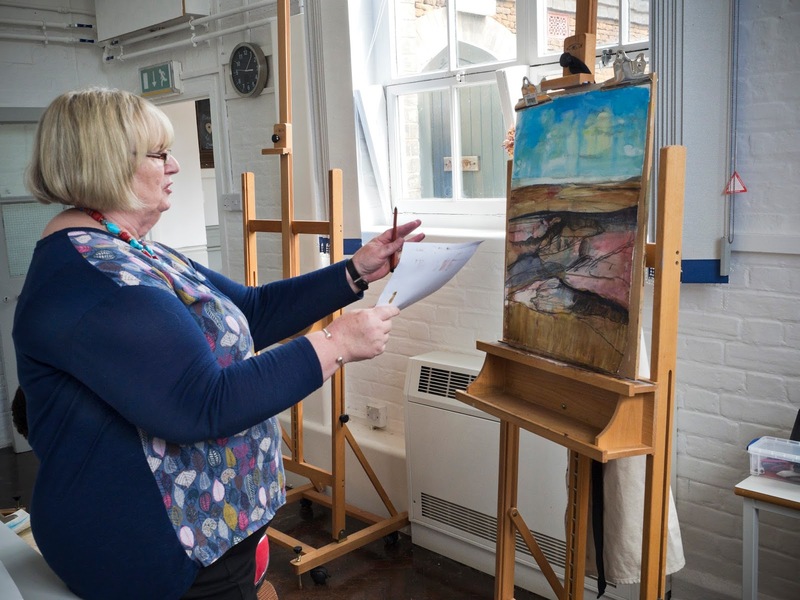 It was a real honour to be teach in such a wonderful, historical yes modern learning environment at Norfolk Creative Arts and with art students in each full class travelling far and wide to come to learn my mixed media techniques, it was a joy to know how each and every student was creatively enriched by their painting experiences with me. 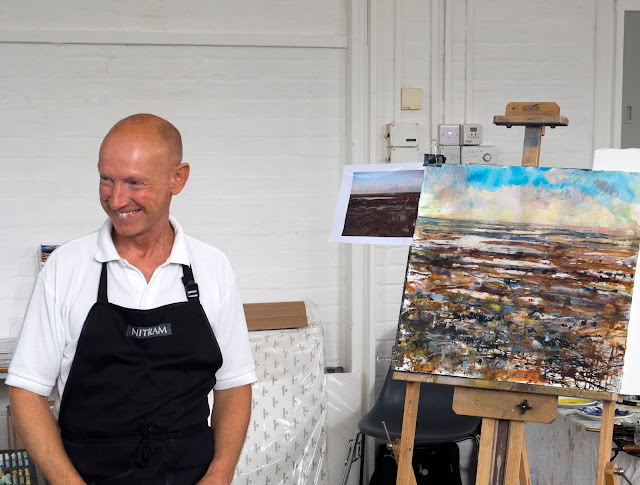 ...use a large Chinese brush (this one is a Wolf hair from 'Asian Brush Painter'), to keep things moving, expressive and ideas creatively flowing - sideways! Gravity being incorporated, big time! 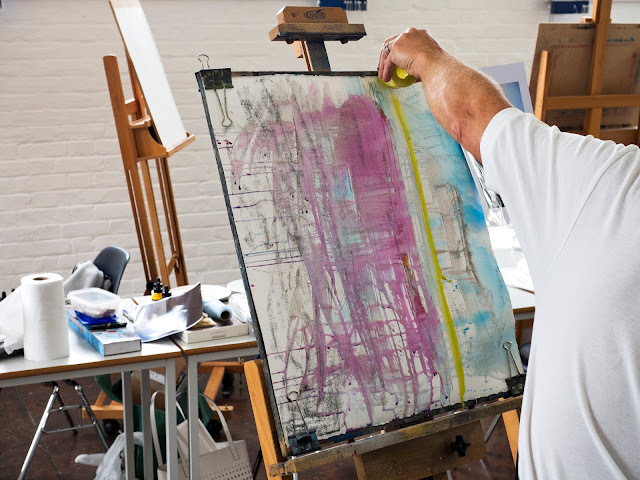 Demo done - yes, alright, I'll try that, turn myself upside down and painting it like that next time...thanks! 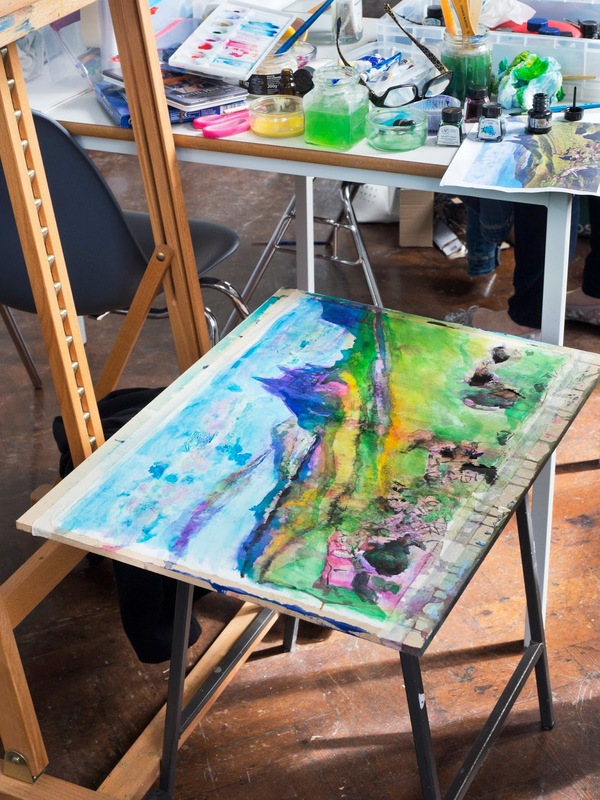 Expressive mixed media demonstration painting using acrylic inks, watercolour mixed with gouache and final layering with pastel. 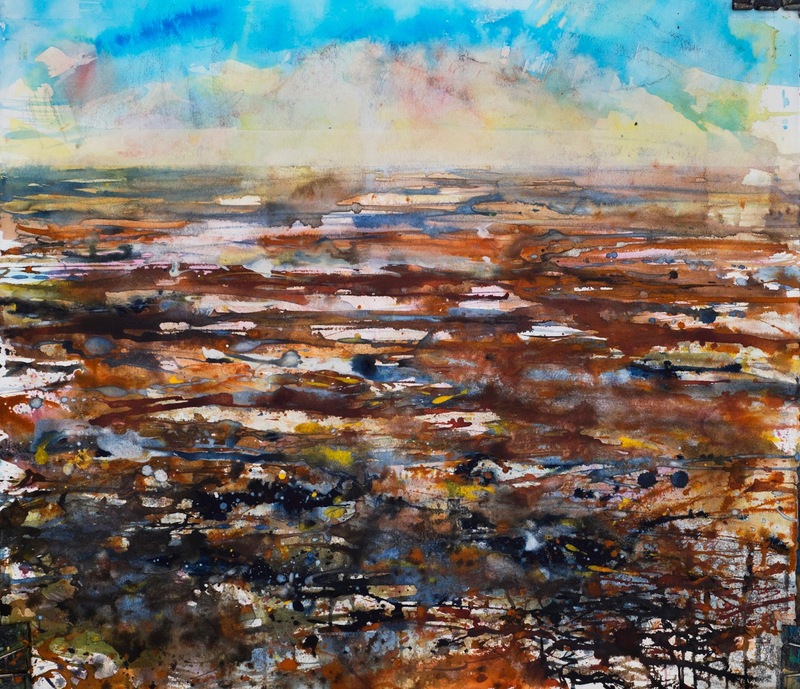 a few more special marks with soft pastel at home and this expressive mixed media of 'Autumn tide on the turn at Morston, North Norfolk' is done! 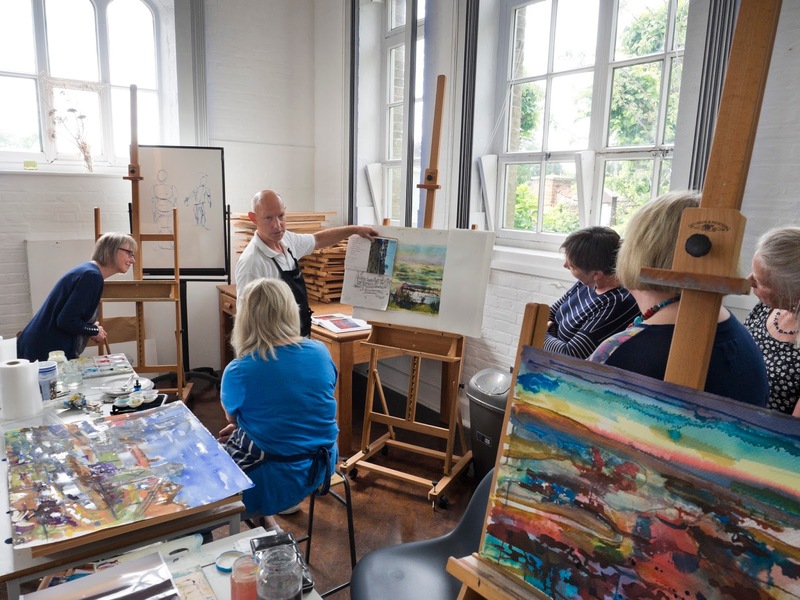 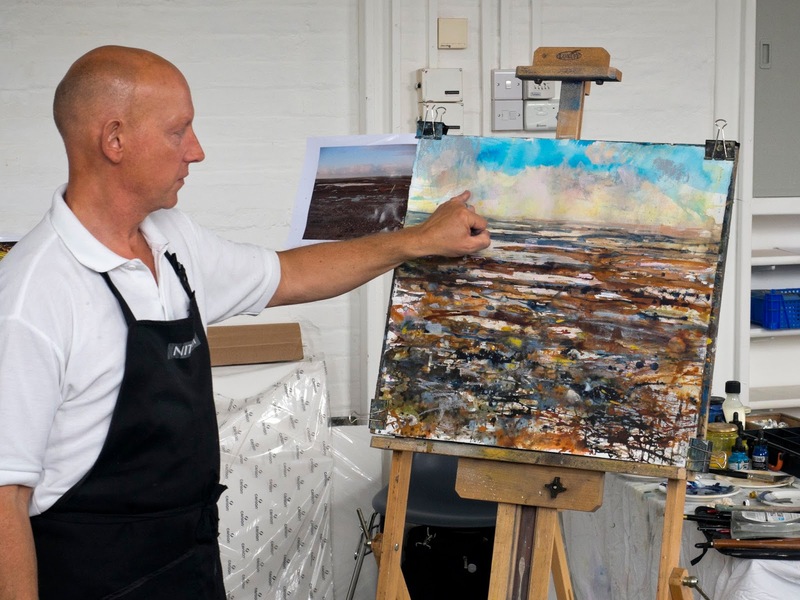 I'll be back again next year to teach another creative break for artists with Norfolk Creative Arts. It's going to be an exciting and rewarding 3 day 'creative block buster' over a long weekend next time using different media so look out for that! 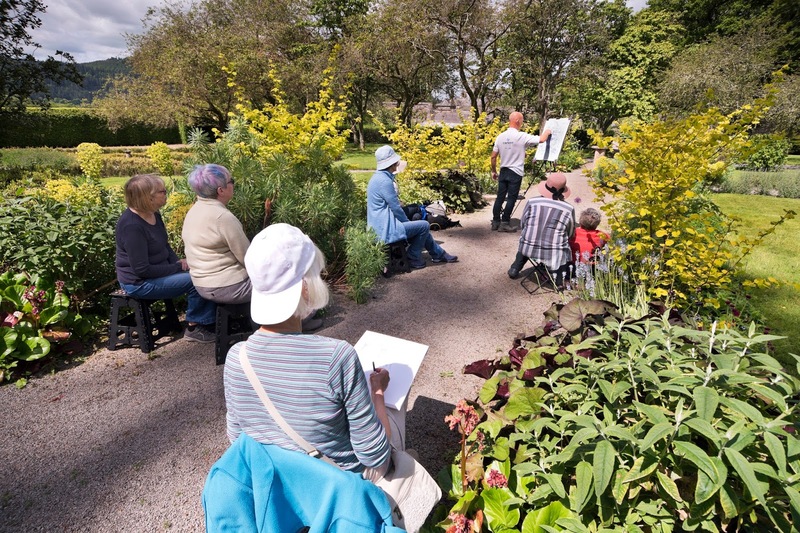 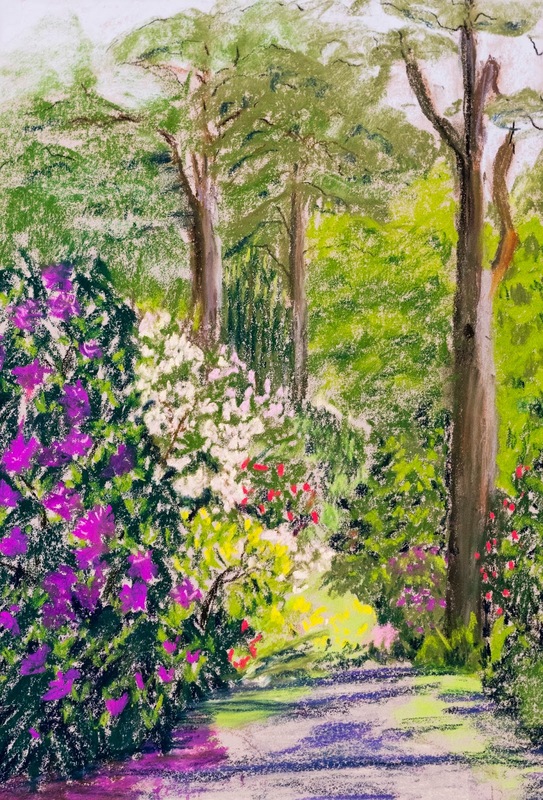 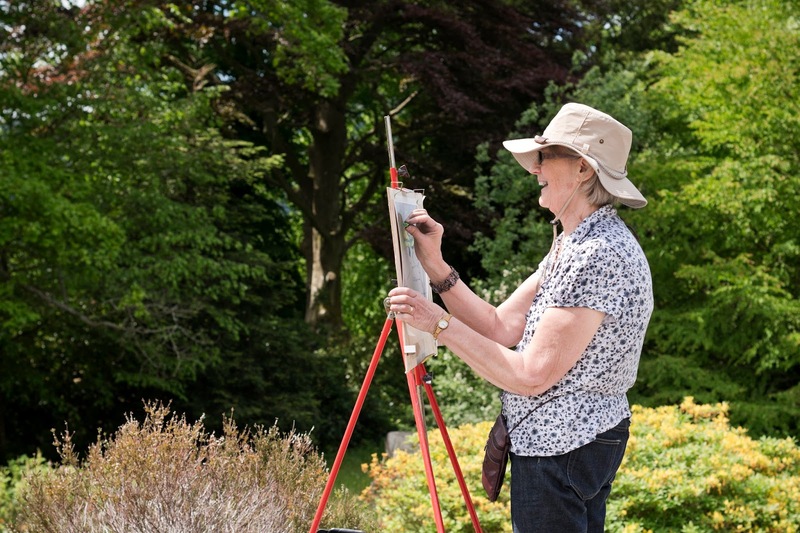 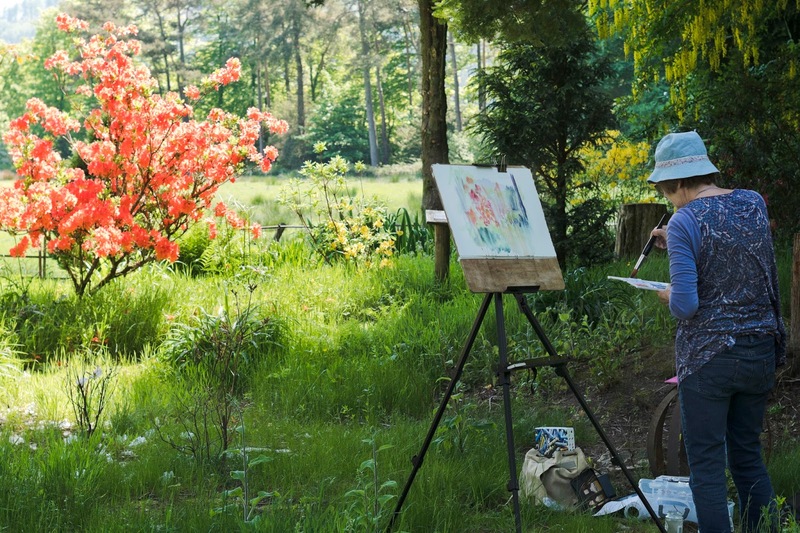 Great news - our recent painting week at Higham Hall called 'Impressionistic Gardens' (celebrating natures colour and natural forms with expression), has been a complete success for everyone. 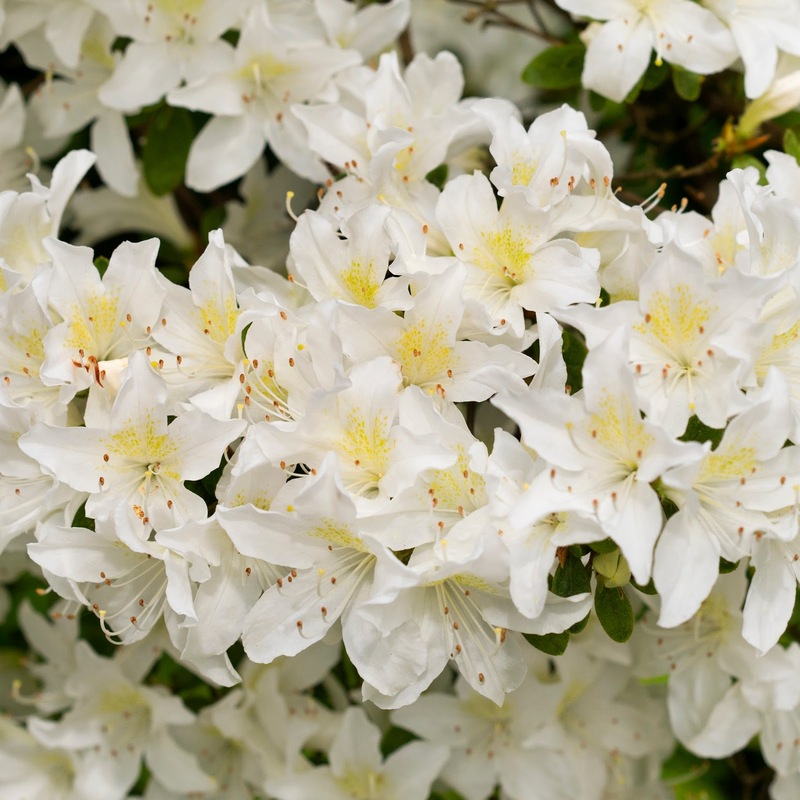 All aglow again - the inspirational Azalea tree at Higham Hall from all sides. 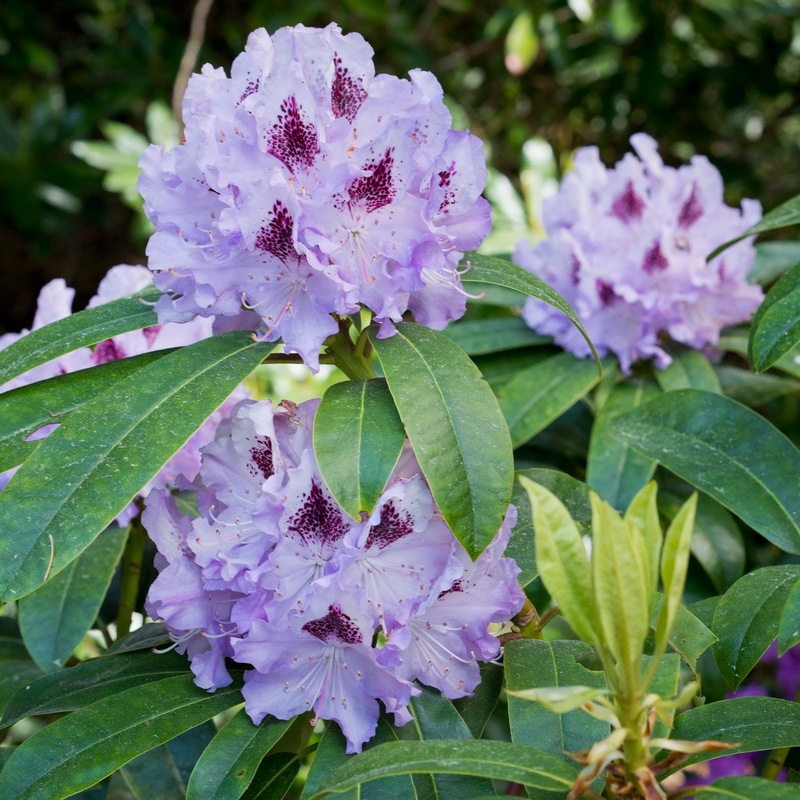 Such a stunning colour in the sunshine! 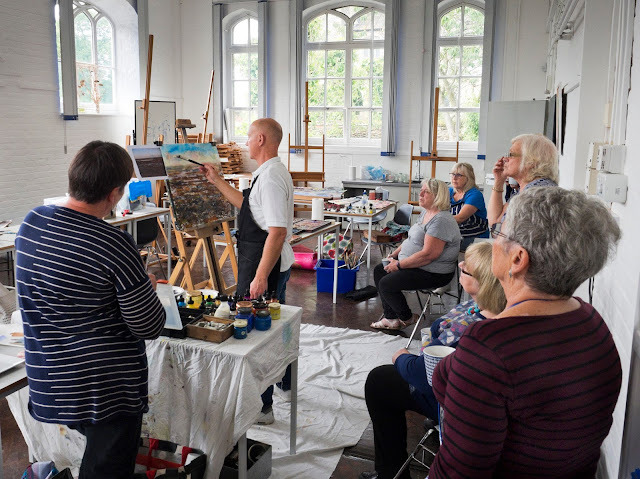 Using a variety of different painting media to include watercolour, gouache and pastel, painting flowers and gardens couldn't have been more fun! 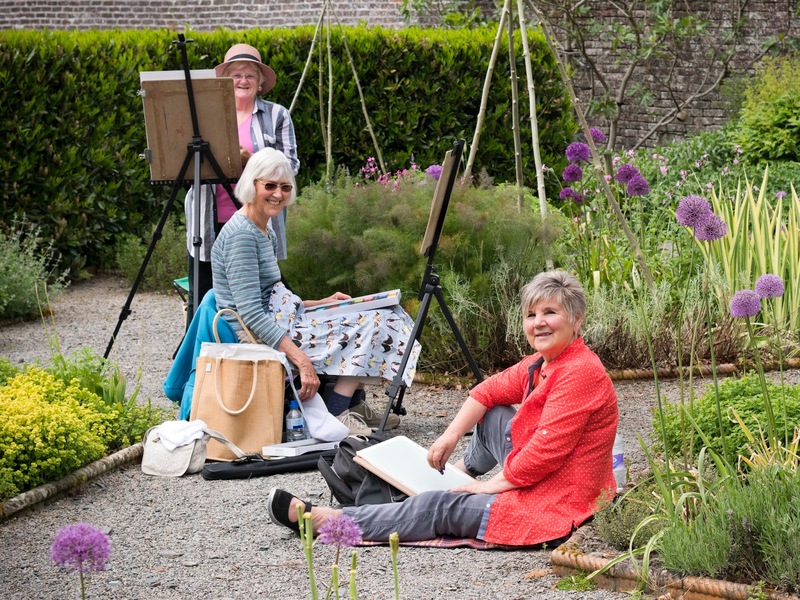 Mixing studio painting with two exclusive trips to the magnificent Mirehouse and Gardens (a private home but open to the public on select days) spending time in the tranquil gardens by kind permission by the lovely owners of Mirehouse was a really rewarding creative experience for everyone. 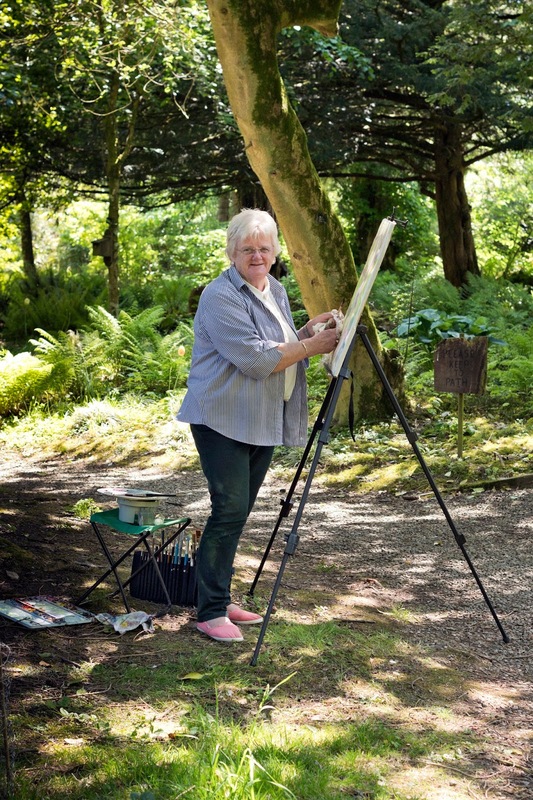 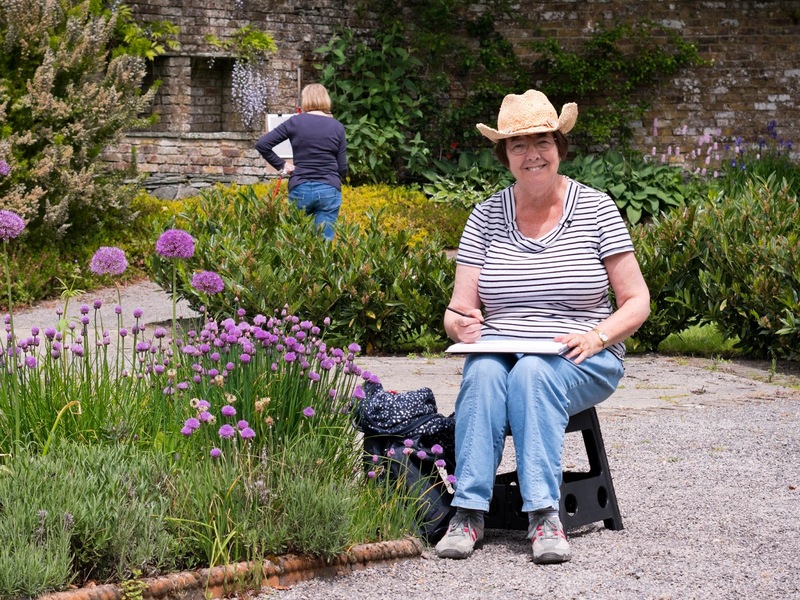 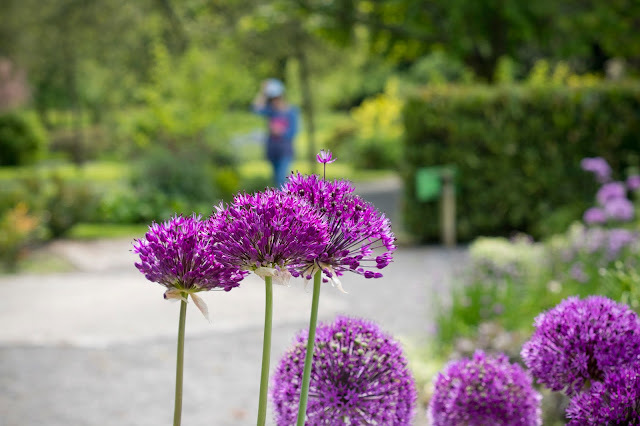 Marion sketching in the lovely herb garden at Mirehouse - great compositions amongst the Allium planting especially wherever you looked! The quiet gardens proved to be a real inspiration with stunning views everywhere from the moment we entered the main gate. 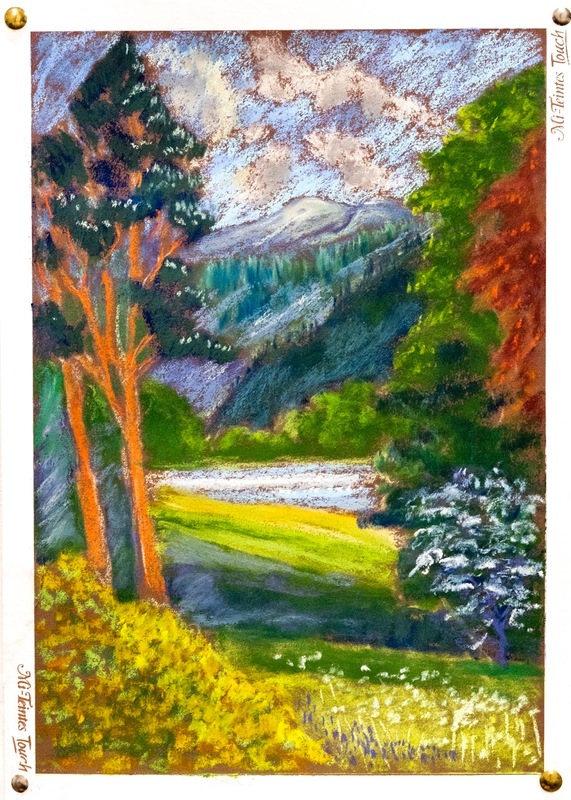 ...so much so Sue decided to paint it with pastels - what a great result! 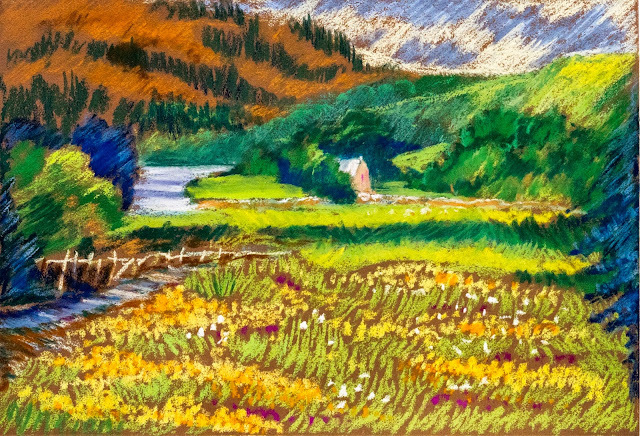 (Unisoncolour pastels and Royal Talens Rembrandt pastels on Canson Mi-Tientes Touch 350gsm). 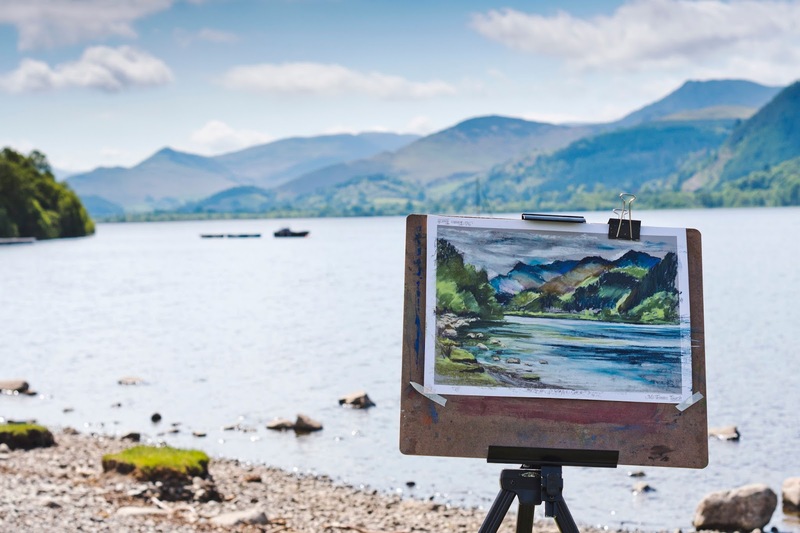 Marions lovely painting from the terrace at Mirehouse looking towards Basenthwaite Lake - what a great result! 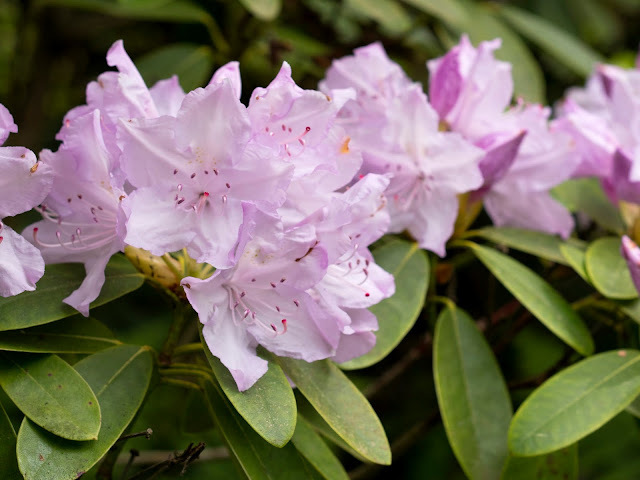 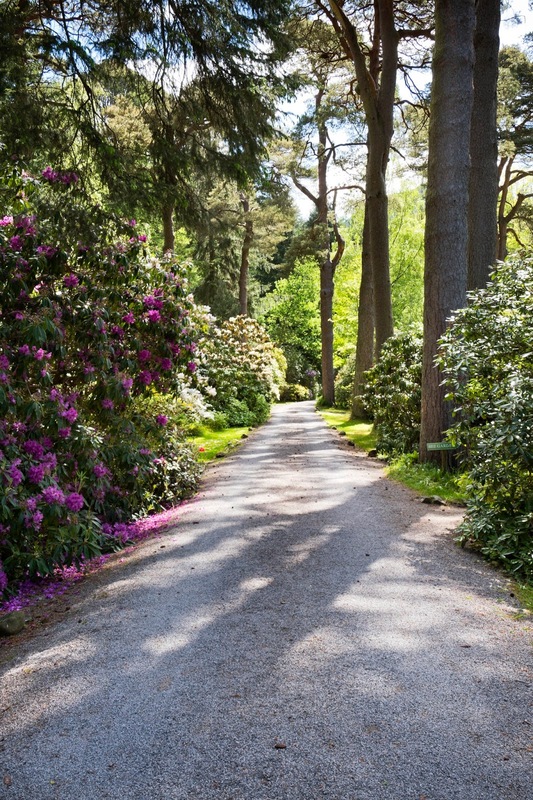 The Mature Rhododendron and Azalea in full bloom in particular at this time of the year both at higham Hall and Mirehouse and gardens were a real hit with everyone. 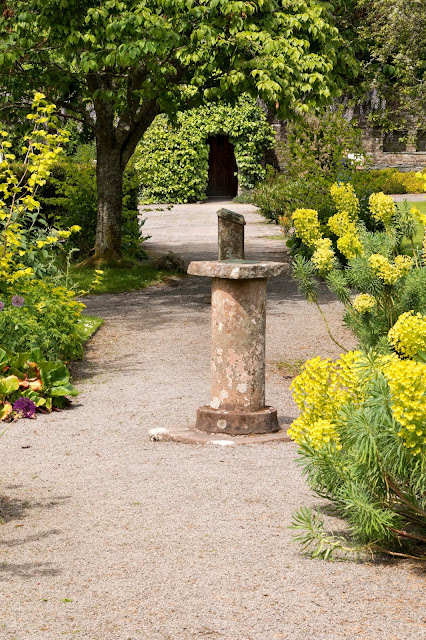 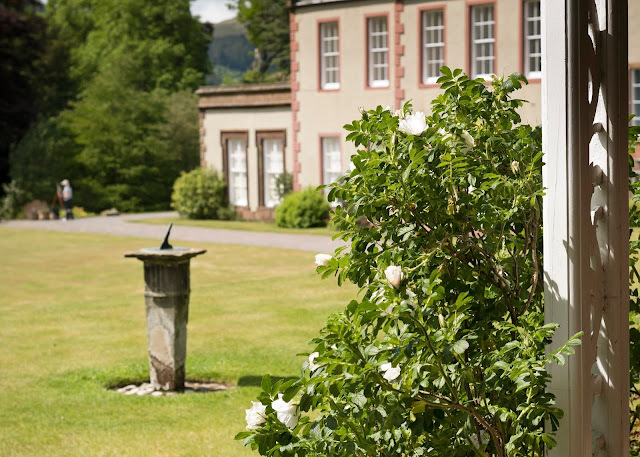 At Mirehouse leading into the lovely walled 'bee' garden with its stone circle, sun dials, herb garden, apple trees the Rhododendron blooms were fabulous - especially the white ones! 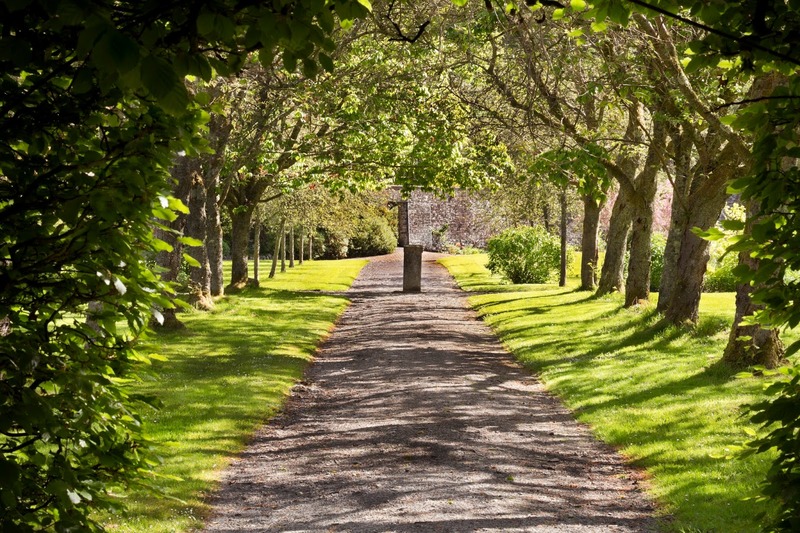 Just one of the lovely tranquil walkways around the mature walled garden at Mirehouse - I just couldn't resist it for my demonstration for everyone! 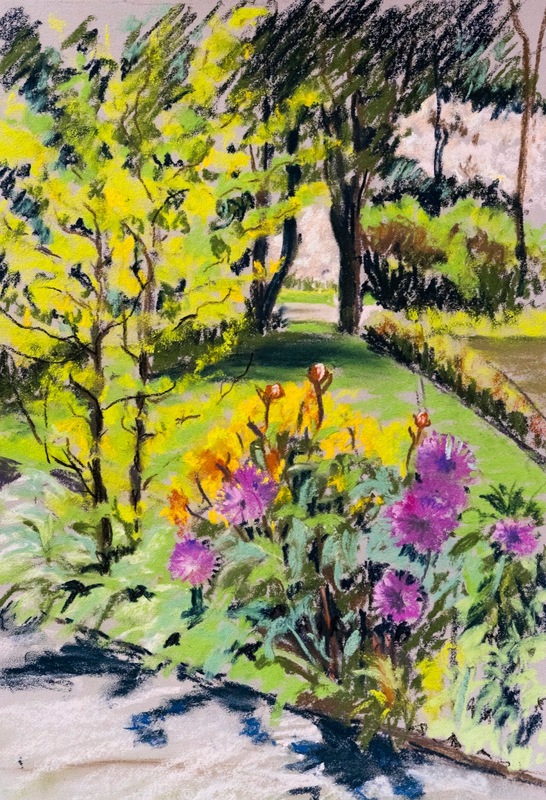 Another amazing student pastel painting, this time with a view directly over the gardens - such movement and expression in those pastel marks! 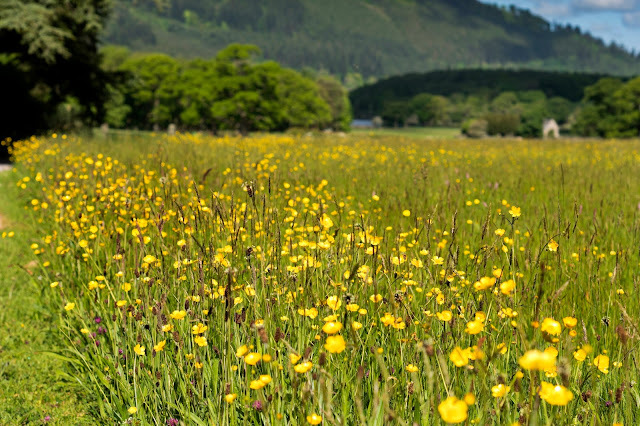 At the front of Mirehouse stretching down to the lake towards the historical St. Bega's Church (one of the oldest and smallest in England) was a lovely, magnificent ancient meadow. It was a joy to see (and paint too) as the colours were stunning and the view was magical. 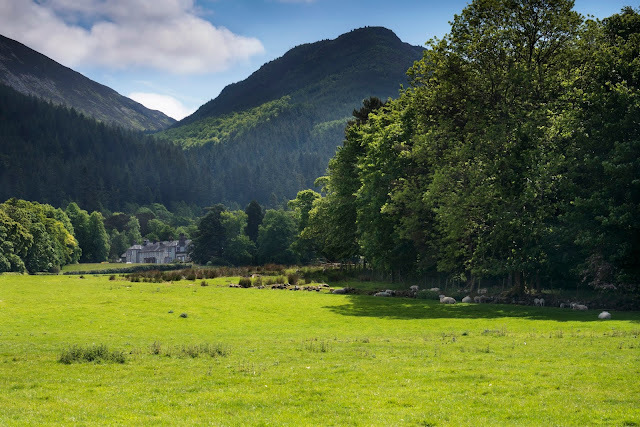 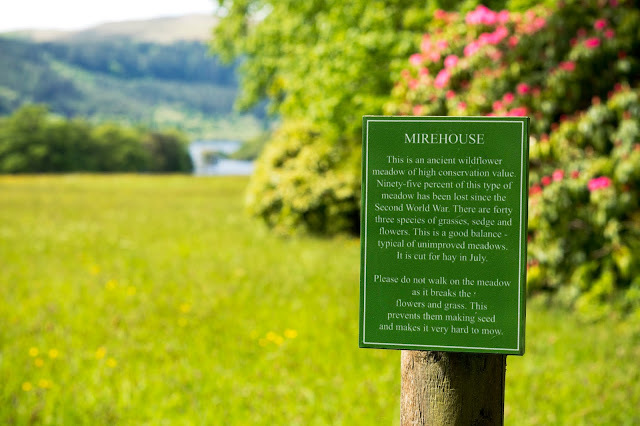 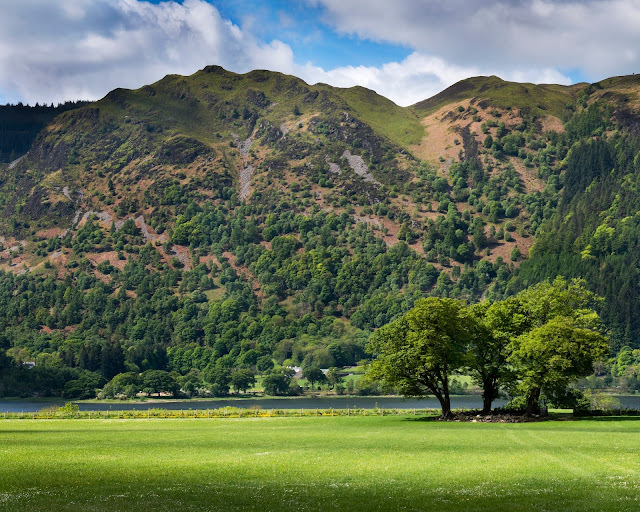 Day two at Mirehouse and Gardens - the resistance to paint the amazing and exclusive access viewpoint down Bassenthwaite Lake being just too much for some! Whatever takes your fancy and what a result...OK, your excused for not painting the gardens with a result as good as this! 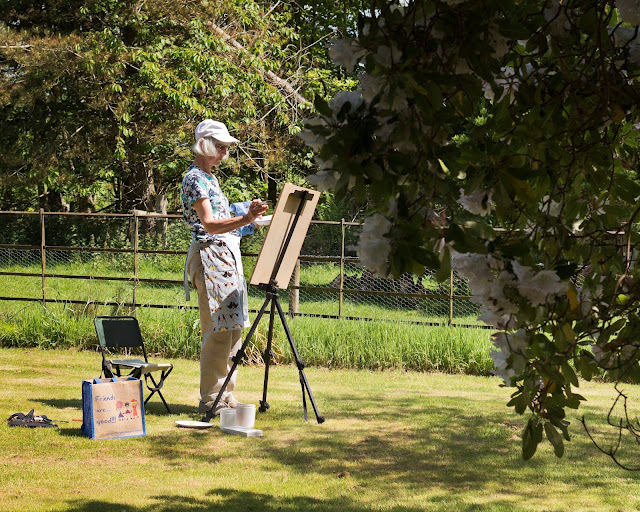 With the sun once again shining for us when we needed it most, we really made the most of the warm May weather. 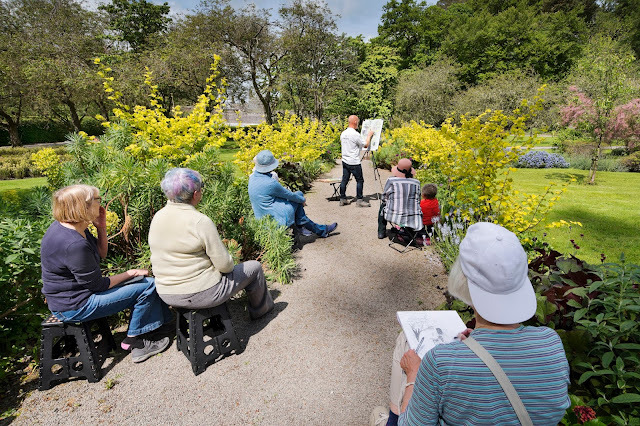 On our last full day of our rewarding art week together, everyone created some stunning and amazing work once again within the lovely gardens of Higham Hall. Painting in the lovely sunshine at Higham Hall - such an inspirational garden! 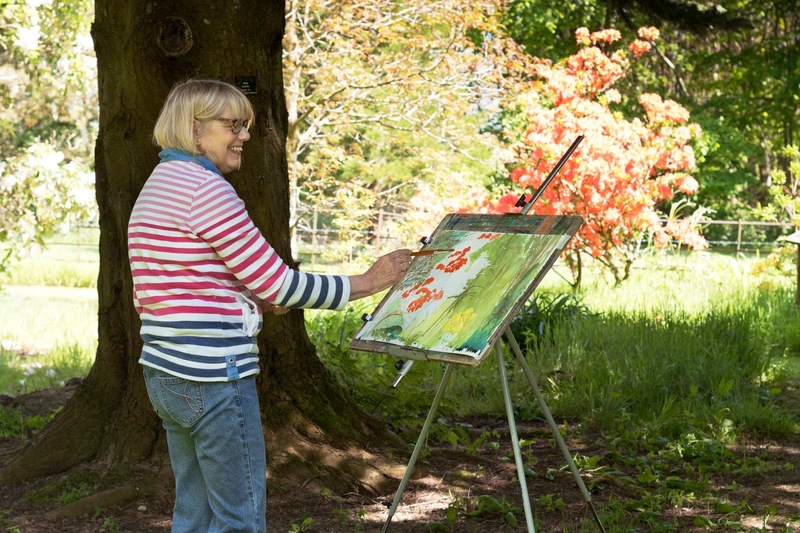 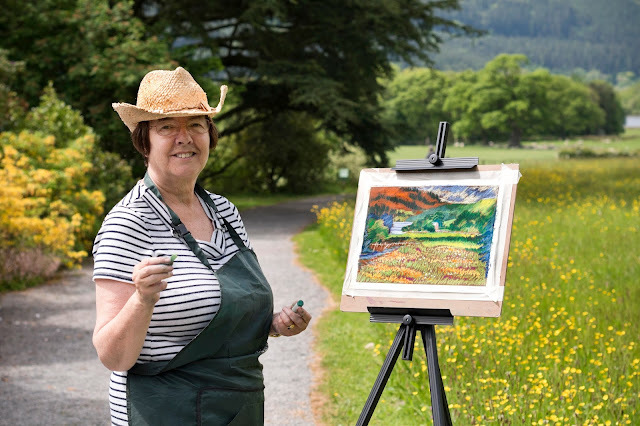 With inspirational compositions everywhere and the gardens in full bloom there was plenty to inspirational views, colourful corners and lovely compositions to choose from and paint with our mixed media paintings. 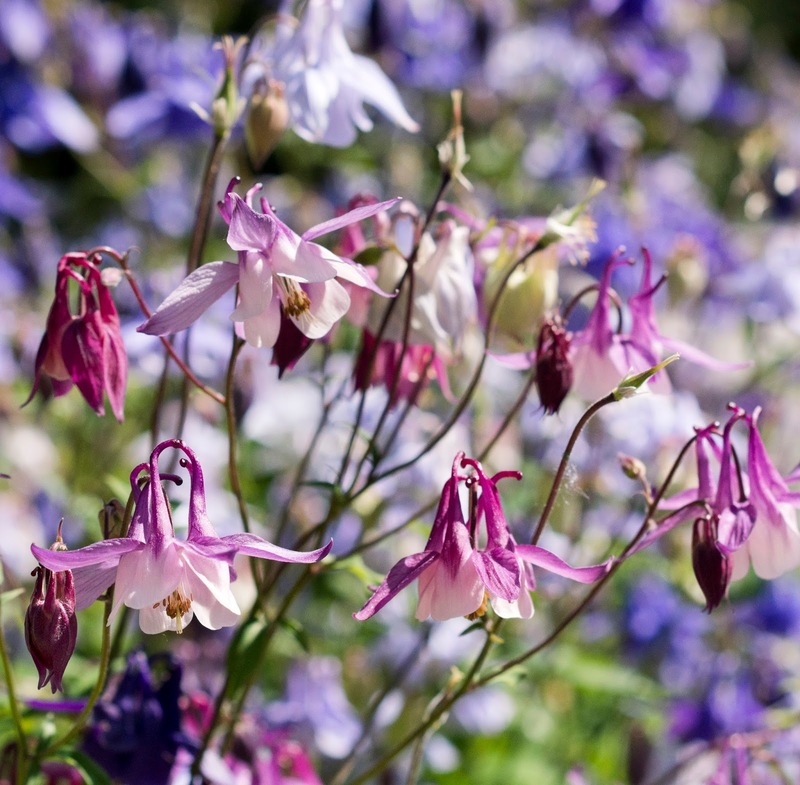 With Chelsea Flower Show being on at the same time as our timely art week, it was great to relax in the comfortable lounge at Higham Hall in the evenings too with other guests with everyone being totally inspired day and night by flowers on the art course. The natural woodland garden. 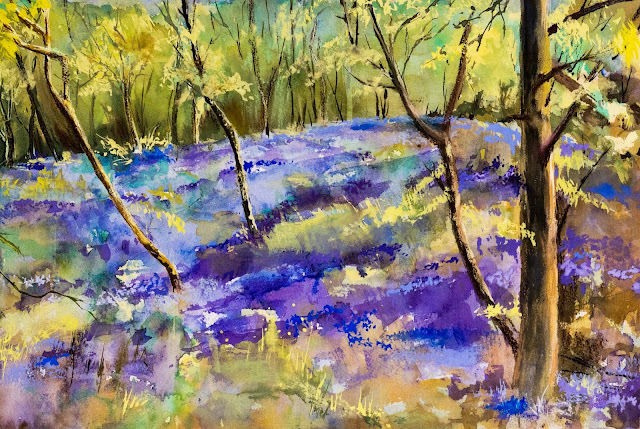 Just one of the lovely mixed media student paintings created during our great week at Higham Hall - watercolour, gouache and pastel used in combination with great effect in this colourful bluebell wood painting. 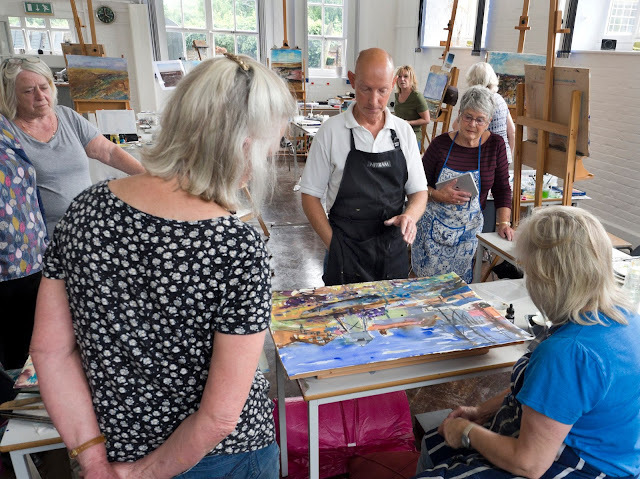 A thoroughly rewarding art week for everyone and most certainly one we will be repeating again for next year at Higham Hall so do look out for that. Now, lets have a look at the calender for 2018 so we can see when Chelsea flower Show is on again!